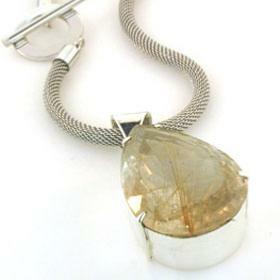 Golden rutilated quartz jewellery set in sterling silver. 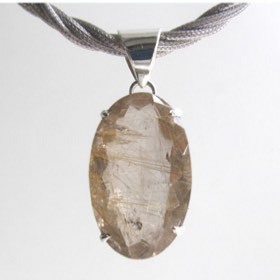 This collection of golden rutilated quartz pendants shows this gemstone at its best. These are premium stones chosen for clarity, cut, size and the angel hair inclusions. Wear with one of our silver snake chains or silver rope chains.